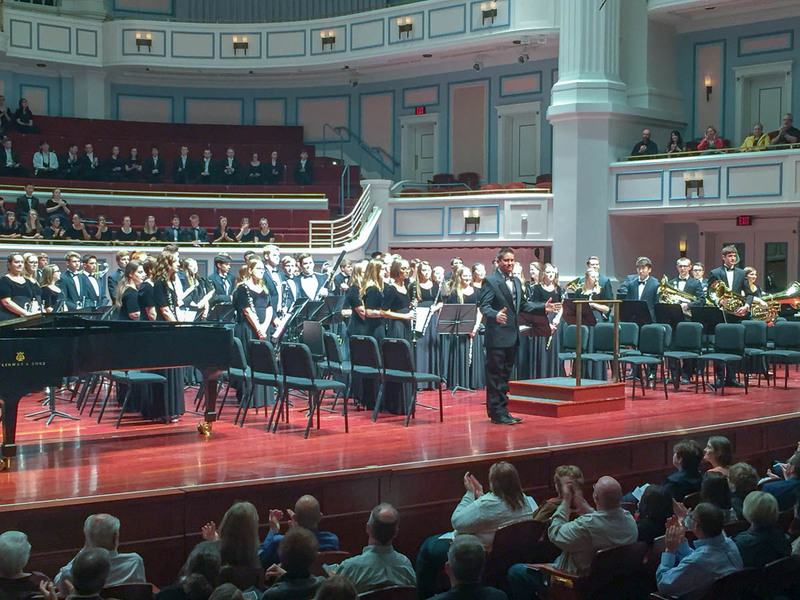 The hub of the band program, the five Fishers High School concert bands consistently receive Gold and With Distinction ratings at ISSMA Organization Contest. Our top band, Wind Ensemble, has become a consistent Indiana State Finalist. There is a spot for everyone in the concert bands, with two freshman-level ensembles, and intermediate band, and two advanced ensembles. Students in concert bands also participate in Solo & Ensemble contest, and audition into many All-State ensembles and other honor bands. There are five curricular concert bands at Fishers High School: Concert Band (beginning HS level), Symphonic Band Red and Silver (intermediate-level), Wind Symphony and Wind Ensemble (advanced-level bands). 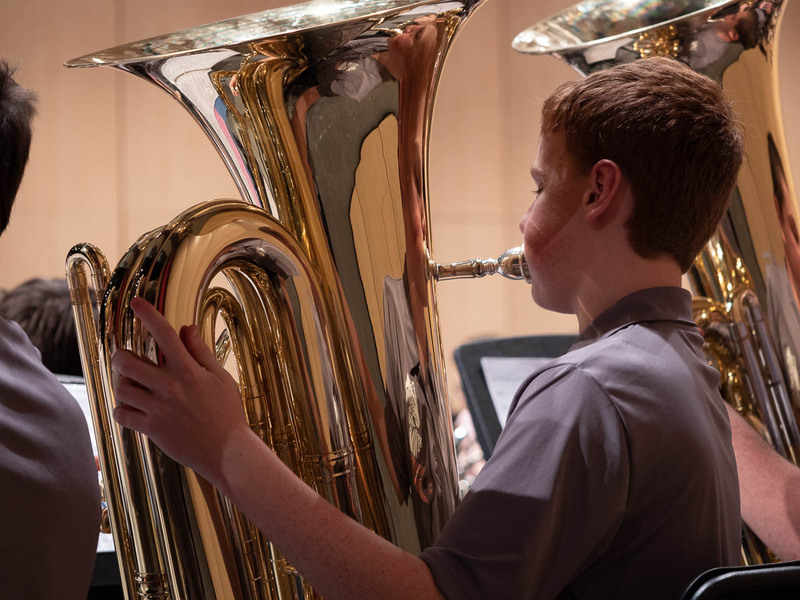 The vast majority of incoming freshmen will be placed into either Concert Band or Symphonic Band Red, mostly by recommendation of their junior high band director. Placement into Symphonic Silver, Wind Symphony, and Wind Ensemble is by audition only. Typically, auditions for the following year’s bands are held in late February or early March. 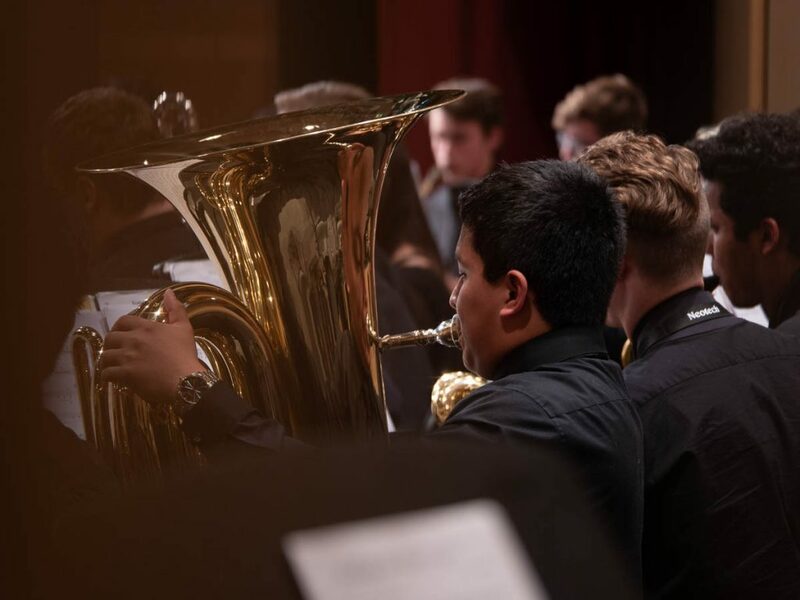 All of the concert bands perform four local concerts throughout the year, including the annual Performing Arts Festival, plus ISSMA Organization Contest in April. The two advanced bands may have additional performances. Membership in Wind Ensemble is highly selective, granted to only the very highest scorers on the audition, and limited by instrumentation needs. 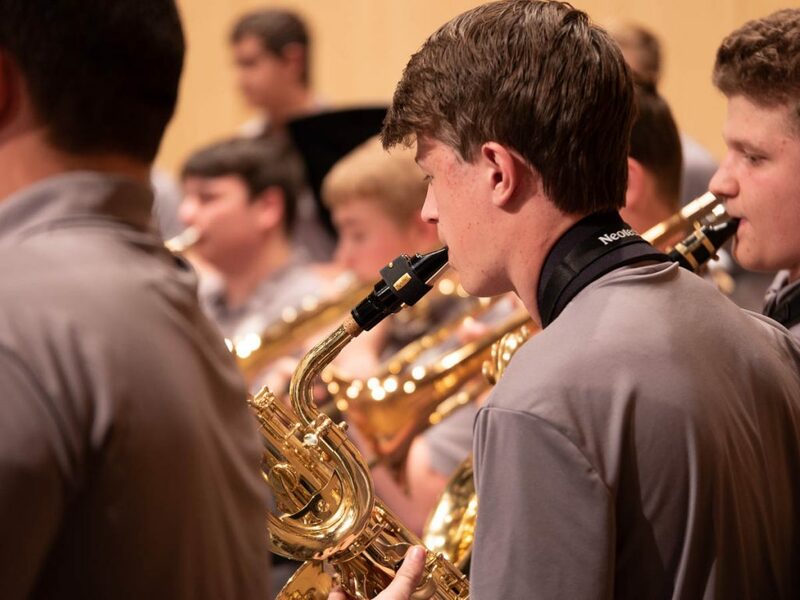 It is expected that students in Wind Ensemble are enrolled in private lessons, participating in Solo & Ensemble Contest, and are pursuing their craft at a high level. Wind Ensemble competes in the ISSMA State Qualifications Contest, and has recently become a regular Indiana State Finalist. All band students are encouraged to take weekly private lessons on their primary instrument when possible. Working one-on-one with a trained instructor is the best way to improve, no matter if the student is very advanced, or could use a little extra help. The individual coaching, as well as hearing a great model, is invaluable. Students who take lessons typically find themselves climbing the ranks quickly. If you are interested in taking lessons, please contact one of the band directors for a list of recommended private instructors. Solo & Ensemble Contest is one of the most popular extra-curricular performance opportunities. In late January and again in late February, student musicians can perform at this contest as individuals or in small groups. They receive awards and written comments regarding their performance, and earn medals for doing well in each event. Group I ensembles who are headed to State Contest usually also perform at a local recital in February. Participation in Solo and Ensemble competition is not required, but is highly recommended. Fishers High School Band students have been regularly selected as members of the Indiana All-State Bands, All-State Orchestra, the ISO Side-by-Side Program, New World Youth Orchestra, and other honor ensembles. Information about auditioning for these prestigious groups will be made available throughout the fall semester to the advanced band students.